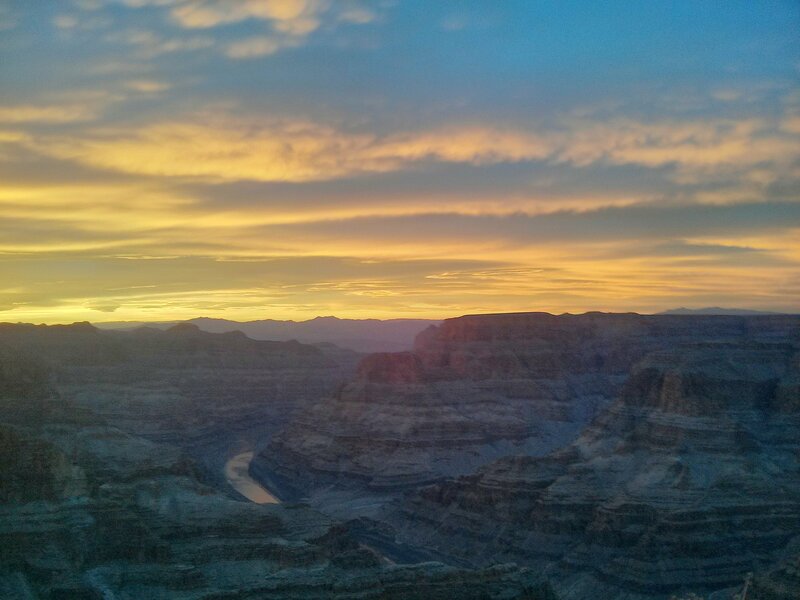 The most recent, and most sensitive, all-sky search for continuous gravitational waves shows no signs of a detection. These signals from rotating neutron stars remain elusive. New data from the advanced detectors may change this, but we will have to wait a while to find out. This at least gives us time to try to figure out what to do with a detection, should one be made. The start of the new academic year is a good time to make resolutions—much better than wet and windy January. I’m trying to be tidier and neater in my organisation. Amid cleaning up my desk, which is covered in about an inch of papers, I uncovered this recent Collaboration paper, which I had lost track of. 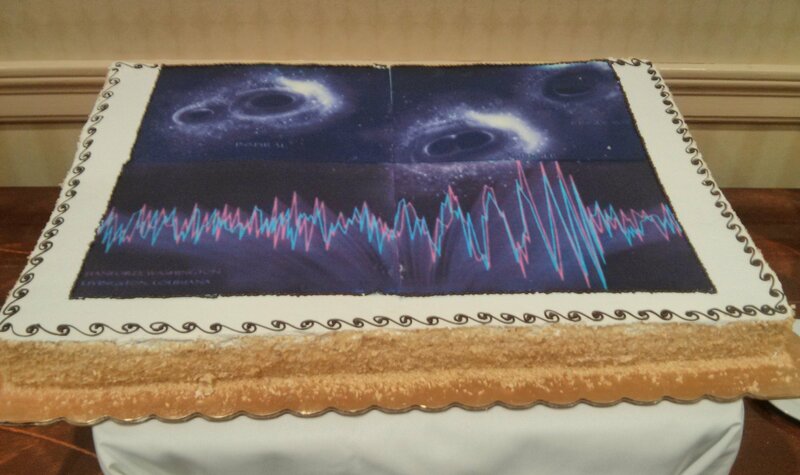 The paper is the latest in the continuous stream of non-detections of continuous gravitational waves. These signals could come from rotating neutron stars which are deformed or excited in some way, and the hope that from such an observation we could learn something about the structure of neutron stars. The search uses old data from initial LIGO’s sixth science run. Searches for continuous waves require lots of computational power, so they can take longer than even our analyses of binary neutron star coalescences. This is a semi-coherent search, like the recent search of the Orion spur—somewhere between an incoherent search, which looks for signal power of any form in the detectors, and a fully coherent search, which looks for signals which exactly match the way a template wave evolves [bonus note]. The big difference compared to the Orion spur search, is that this one looks at the entire sky. This makes it less sensitive in those narrow directions, but means we are not excluding the possibility of sources from other locations. Artist’s impression of the local part of the Milky Way. 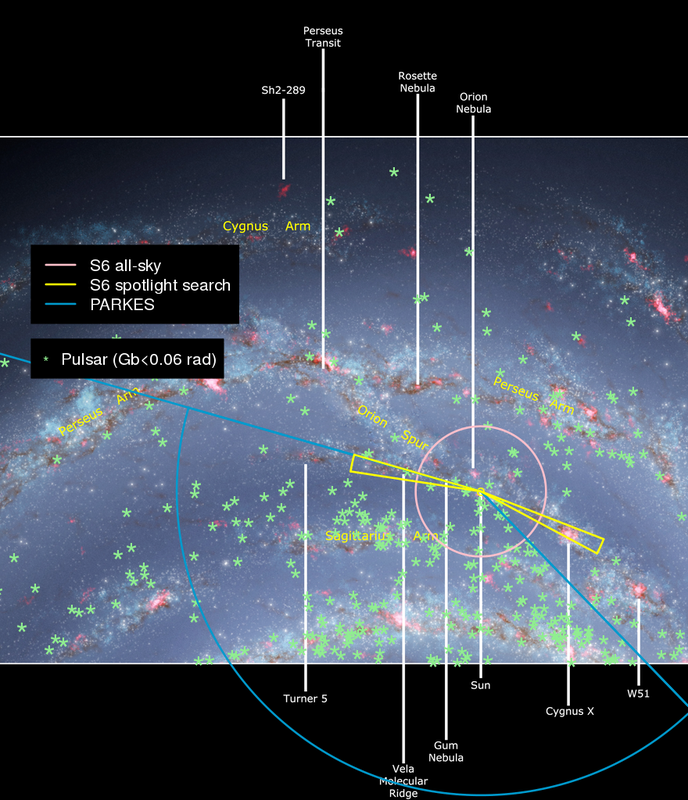 The yellow cones mark the extent of the Orion Spur spotlight search, and the pink circle shows the equivalent sensitivity of this all-sky search. Green stars indicate known pulsars. Original image: NASA/JPL-Caltech/ESO/R. Hurt. The search identified 16 outliers, but an examination of all of these showed they could be explained either as an injected signal or as detector noise. Since no signals were found, we can instead place some upper limits on the strength of signals. 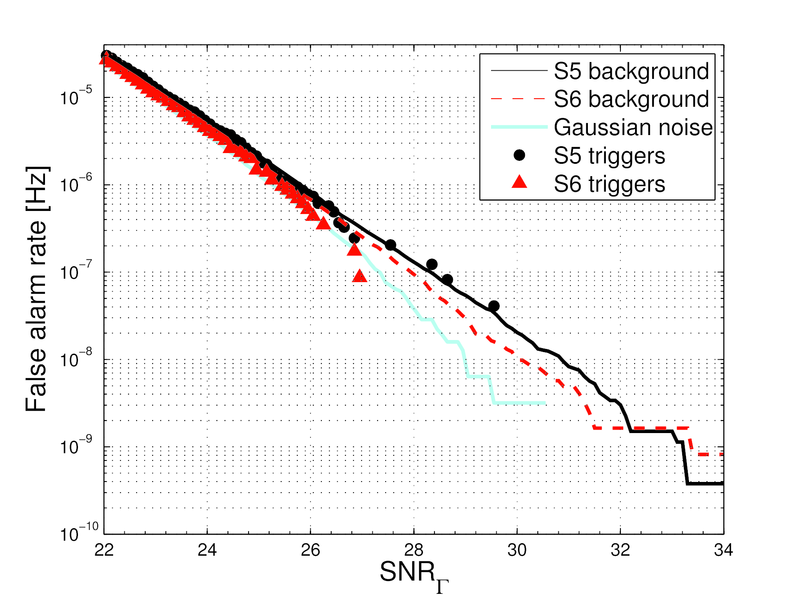 The plot below translates the calculated upper limits (above which there would have been a ~75%–95% chance of us detected the signal) into the size of neutron star deformations. Each curve shows the limits on detectable signals at different distance, depending upon their frequency and the rate of change of their frequency. The dotted lines show limits on ellipticity , a measure of how bumpy the neutron star is. Larger deformations mean quicker changes of frequency and produce louder signals, therefore they can can be detected further away. Range of the PowerFlux search for rotating neutron stars assuming that spin-down is entirely due to gravitational waves. The solid lines show the upper limits as a function of the gravitational-wave frequency and its rate of change; the dashed lines are the corresponding limits on ellipticity, and the dotted line marks the maximum searched spin-down. Figure 6 of Abbott et al. (2016). Neutron stars are something like giant atomic nuclei. Figuring the properties of the strange matter that makes up neutron stars is an extremely difficult problem. We’ll never be able to recreate such exotic matter in the laboratory. Gravitational waves give us a rare means of gathering experimental data on how this matter behaves. However, exactly how we convert a measurement of a signal into constraints on the behaviour of the matter is still uncertain. I think that making a detection might only be the first step in understanding the sources of continuous gravitational waves. Other new academic year resolution: To attempt to grow a beard. Beard stroking helps you think, right? As the first step of this search, the PowerFlux algorithm looks for power that changes in frequency as expected for a rotating neutron star: it factors in Doppler shifting due to the motion of the Earth and a plausible spin down (slowing of the rotation) of the neutron star. As a follow up, the Loosely Coherent algorithm is used, which checks for signals which match short stretches of similar templates. Any candidates to make it through all stages of refinement are then examined in more detail. This search strategy is described in detail for the S5 all-sky search. A cloudy bank holiday Monday is a good time to catch up on blogging. Following the splurge of GW150914 papers, I’ve rather fallen behind. 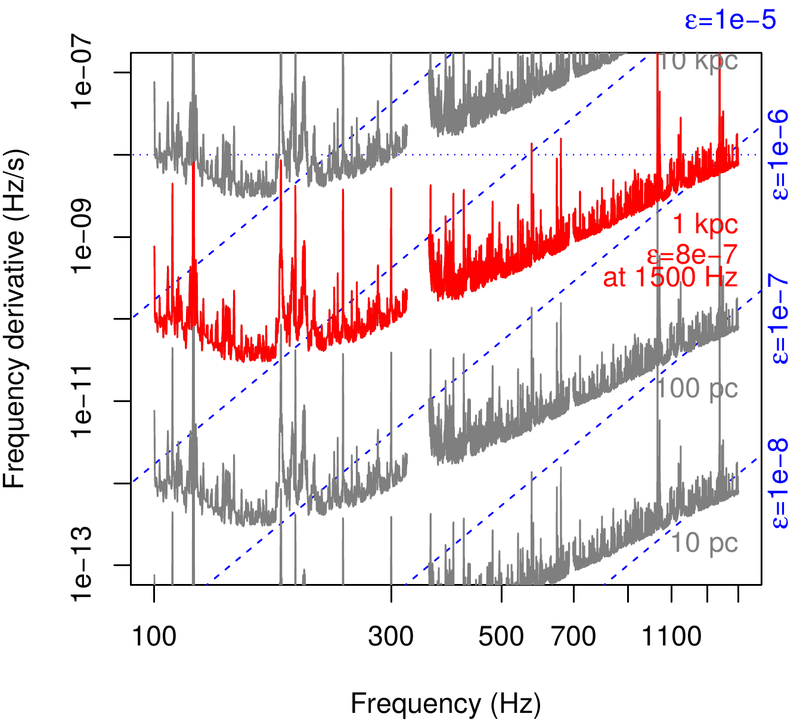 Published back in February, this paper is a search for continuous-wave signals: the almost-constant hum produced by rapidly rotating neutron stars. Continuous-wave searches are extremely computationally expensive. 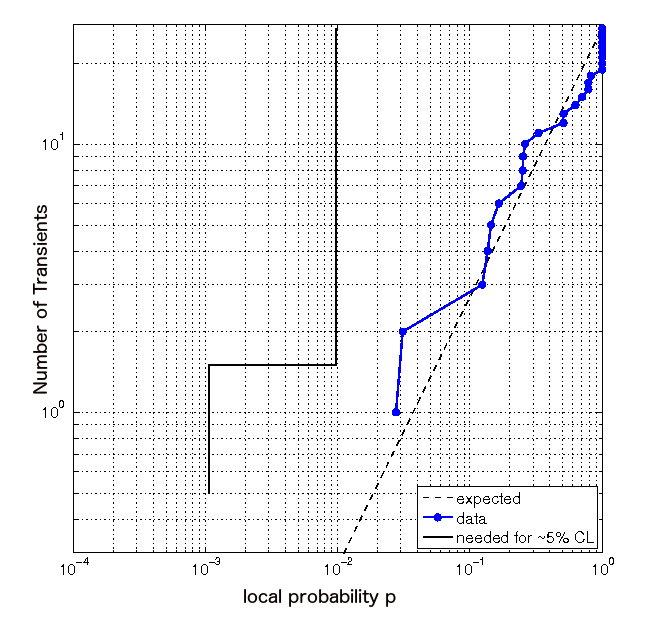 The searches take a while to do, which can lead to a delay before results are published [bonus note]. 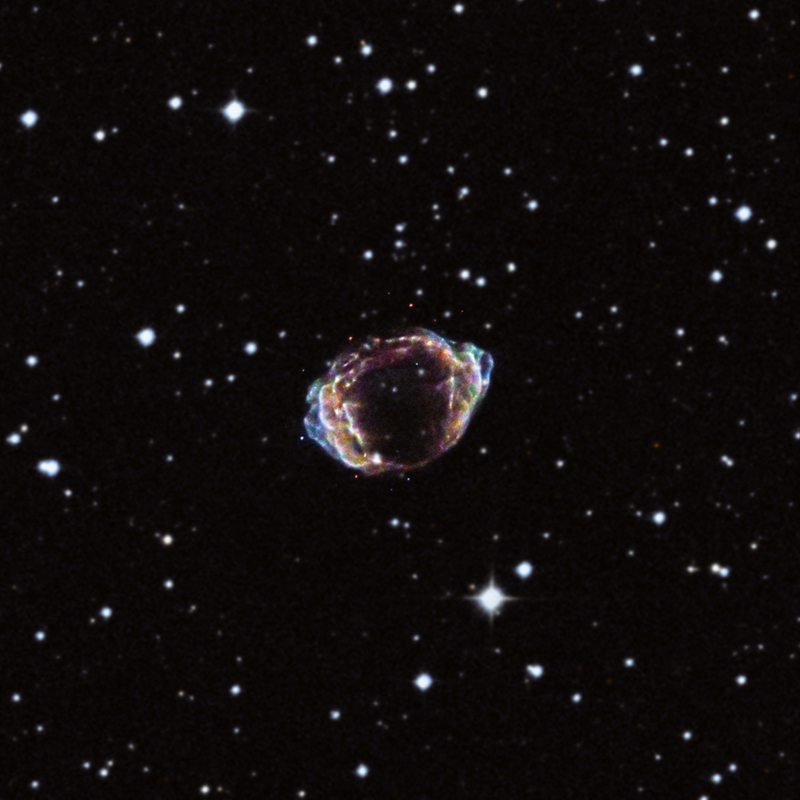 This is the result of a search using data from LIGO’s sixth science run (March–October 2010). To detect a continuous wave, you need to sift the data to find a signal that present through all the data. Rotating neutron stars produce a gravitational-wave signal with a frequency twice their orbital frequency. This frequency is almost constant, but could change as the observation goes on because (i) the neutron star slows down as energy is lost (from gravitational waves, magnetic fields or some form of internal sloshing around); (ii) there is some Doppler shifting because of the Earth’s orbit around the Sun, and, possibly, (iii) the there could be some Doppler shifting because the neutron star is orbiting another object. How do you check for something that is always there? There are two basic strategies for spotting continuous waves. First, we could look for excess power in a particular frequency bin. If we measure something in addition to what we expect from the detector noise, this could be a signal. Looking at the power is simple, and so not too expensive. However, we’re not using any information about what a real signal should look like, and so it must be really loud for us to be sure that it’s not just noise. Second, we could coherently search for signals using templates for the expected signals. This is much more work, but gives much better sensitivity. Is there a way to compromise between the two strategies to balance cost and sensitivity? This paper reposts results of a loosely coherent search. Instead of checking how well the data match particular frequencies and frequency evolutions, we average over a family of similar signals. This is less sensitive, as we get a bit more wiggle room in what would be identified as a candidate, but it is also less expensive than checking against a huge number of templates. We could only detect continuous waves from nearby sources: neutron stars in our own Galaxy. (Perhaps 0.01% of the distance of GW150914). It therefore makes sense to check nearby locations which could be home to neutron stars. This search narrows its range to two directions in the Orion spur, our local band with a high concentration of stars. By focussing in on these spotlight regions, we increase the sensitivity of the search for a given computational cost. This search could possibly dig out signals from twice as far away as if we were considering all possible directions. 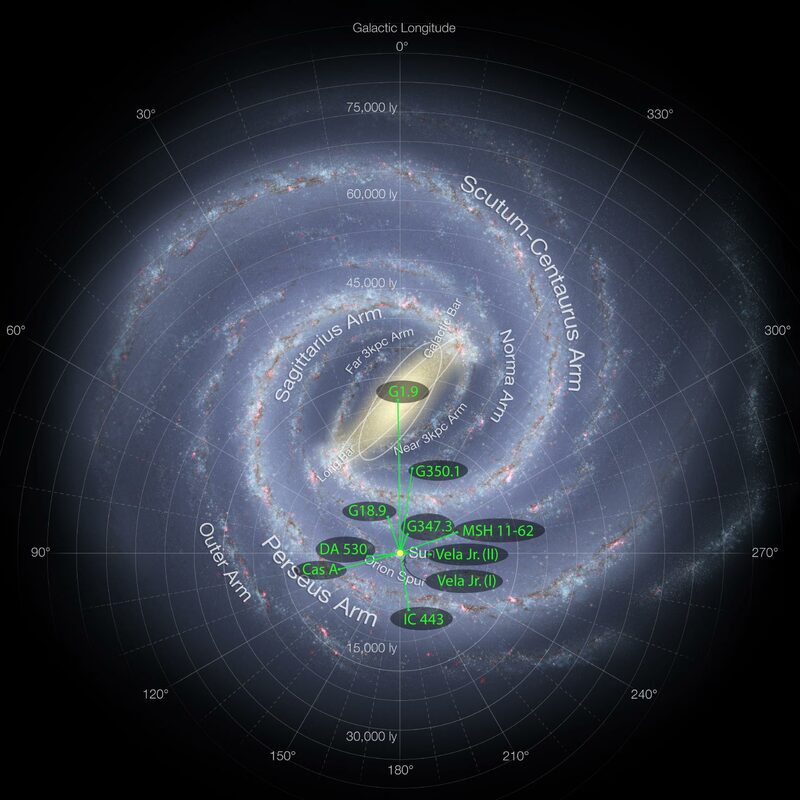 Artist’s impression of the local part of the Milky Way. The Orion spur connects the Perseus and Sagittarius arms. The yellow cones mark the extent of the search (the pink circle shows the equivalent all-sky sensitivity). Green stars indicate known pulsars. Original image: NASA/JPL-Caltech/ESO/R. Hurt. Bank holiday family Scrabble game. 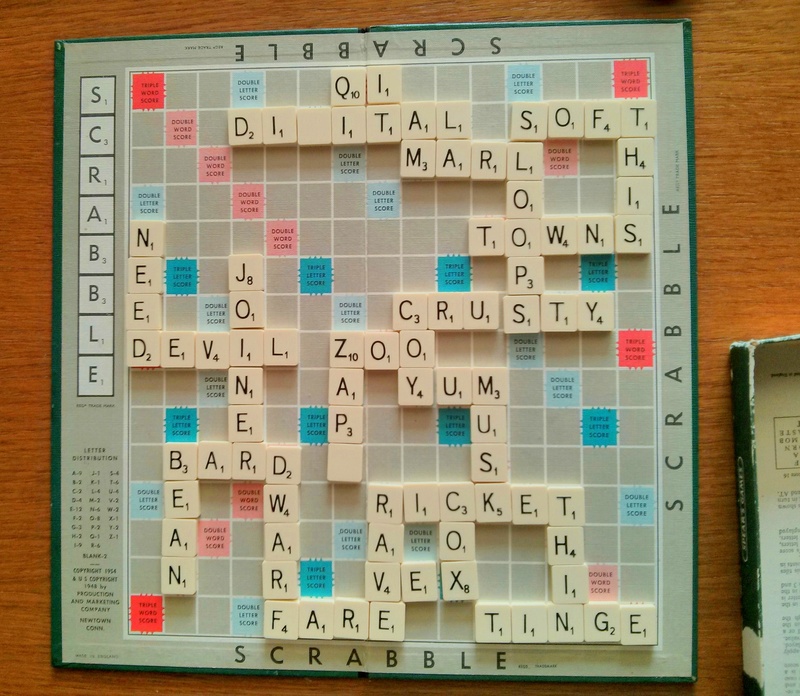 When thinking about your next turn, you could try seeing if your letters match a particular word (a coherent search which would get you the best score, but take ages), or just if your letters jumble together to make something word-like (an incoherent search, that is quick, but may result in lots of things that aren’t really words). The Continuous Wave teams are polite enough to wait until we’re finished searching for transient gravitational-wave signals (which are more time sensitive) before taking up the LIGO computing clusters. They won’t have any proper results from O1 just yet.